Bring Frozen fun to your next party. 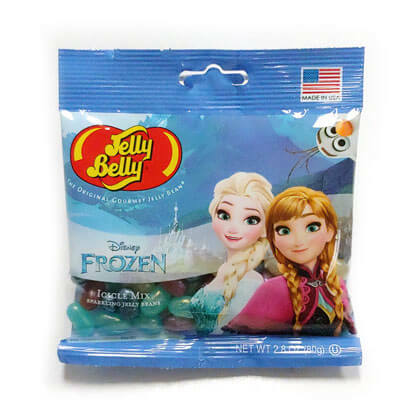 Queen Elsa, Princess Anna or Olaf grace the front of each 1 oz bag. Filled with random assorted sparkling Icicle Mix jelly bean flavors of berry blue, blueberry, cream soda and grape soda. Gluten-free. 2.8 oz bag.